· c.1700BCE: Start of the Nordic Bronze Age. · c.500BCE: Start of the Nordic Iron Age. · 9CE: Hermann of the Cherusci leads an alliance of Germanic tribes to victory against the three Roman legions (and their auxiliaries) under Publius Quinctilius Varus. · 69CE: Gaius Julius Civilis leads the revolt of the Batavi against Roman rule. · c.98CE: Publius Cornelius Tacitus writes De Origine et situ Germanorum (“Germania”). · 358CE: Julius “the Apostate” grants the Franks permission to settle Toxandria, as foederati of Rome. · 388CE: Sunno, Marcomer, and Genobaud lead a contingent of Franks in the sacking of (Roman) Köln. · 394CE: Flavius Eugenius, assisted by Flavius Arbogastes, restores the Altar of Victory in the Roman Senate House. · 451CE: Burgundians, Salians, Saxons, and Visigoths (acting as Roman foederati under the leadership of Flavius Aetius) wage war against the Huns (and their Germanic allies, under the leadership of Attila) at the Battle of the Catalaunian Plains. · 463CE: Childeric (in conjunction with Aegidius) defeats the Visigoths along the banks of the Loire River. His victory allows for Frankish expansion. · 486CE: Clovis I of the Franks defeats Syagrius, effectively ending (western) Roman rule outside of Italy. · 496CE: Clovis I of the Franks converts to Catholicism, at the behest of his wife, Clotilde. Many Franks follow his example. · 519CE: The kingdom of the West Saxons (Westseaxna Rīce) is founded. · c.520CE: The kingdom of the East Angles (Ēast Engla Rīce) is founded. · 527CE: The Kingdom of Mercia (Miercna Rīce) is established. · 597CE: Æðelberht of Kent (Cantaware Rīce) meets with Pope Gregory’s mission, led by Augustine, at the Isle of Thanet. He allows them to establish their mission in Canterbury. · c.601CE: Æðelberht of Kent is baptised, becoming the first Christian Anglo-Saxon king. · c.610CE: Mellitus, Bishop of London, bears a letter from Pope Gregory telling Augustine to convert, rather than destroy the heathen temples of the Anglo-Saxons. · c.624CE: A high status man (possibly Rædwald, king of the East Angles) is interred in a ship burial at Sutton Hoo, East Anglia. · 655CE: The last of the mainland “Heathen” kings – Penda, king of the Anglian kingdom of Mercia (Miercna Rīce) – is killed (in battle). · 672/3CE: Bede (Bǣda) is born. · 686CE: The last of the “English” Heathen kings – Arwald, king of the Jutish kingdom of the Isle of Wight (Wihtgarabyrig) – is killed (in battle). · 725CE: Bede writes his De temporum ratione (The Reckoning of Time). · c.772CE: Charlemagne orders the destruction of the Saxons’ Irminsul. · 782CE: Charlemagne orders the execution of 4,500 captive Saxons, at Verden, for the “crime” of refusing to convert to Christianity. · 789CE: The first attack on English shores by the “north men”. · c.834CE: Two women are interred in a ship burial at Oseberg in Norway. · 841CE: Viking raiders settle in Ireland, founding the city of Dublin. · c.850-900CE: The alliterative verse poem Muspilli is scribed. · 865CE: The Great Heathen Army lands in East Anglia, beginning their invasion of Britain. 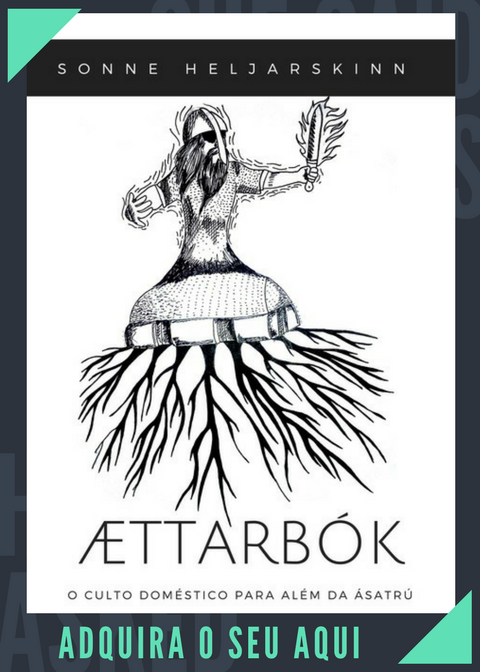 · 867CE: The Great Heathen Army captures Eorforwic in Northumbria and, installing Ecgberht as their puppet, rename the town Jórvík (modern day York). · c.874CE: Iceland is “discovered” by the Norwegians (ignoring the earlier Gaelic settlement). · 878CE: The battle of Eþandune results in the defeat of Guðrum by Ælfrǣd of Wessex, and his subsequent baptism as Æþelstān. · 934CE: Hákon Haraldsson becomes king of Norway and starts to spread Christianity in that country. · c.975CE: Hákon Sigurðarson becomes ruler of Norway and rejects the Christianisation of that country. · c.975-1000CE: The Anglo-Saxon Metrical Calendar (Menologium) is scribed. · 995CE: Olaf Tryggvason becomes king of Norway and begins to forcibly convert that country. · 999/1000CE: Olaf Tryggvason is defeated at the battle of Svolder, Norway reverts to heathen practice. · 1000CE: Iceland becomes officially Christian. · c.1010CE: An unknown scribe compiles the Nowell Codex, including the poem “Bēowulf”. · 1015CE: Olaf II Haraldsson becomes king of Norway and brutally stamps out non-Christian practice in that country. · 1073CE: Adam of Bremen begins writing his work “Gesta Hammaburgensis ecclesiae pontificum”. · 1084CE: Ingi Steinkelsson is forced to abdicate as king of Sweden due to his refusal to administer the blót. Blót-Svein replaces him. · 1087CE: Ingi Steinkelsson returns to Sweden and burned Blót-Svein in his own home. Ingi reclaims the throne and re-establishes Christianity in Sweden. · 1104CE: Denmark officially becomes Christian. · 1150CE: Birth of Saxo Grammaticus. · 1154CE: Norway officially becomes Christian. · 1164CE: Sweden officially becomes Christian. · 1179CE: Snorri Sturluson is born. · c.1185: Saxo Grammaticus begins work on his Gesta Danorum. · 1220CE: Saxo Grammaticus dies. · c.1220CE: Snorri Sturluson writes his (prose) Edda. · c.1230CE: Snorri Sturluson writes his Heimskringla. · 1241CE: Snorri Sturluson is killed. · 1270sCE: The Codex Regius is thought to have been written. · 1705CE: George Hickes publishes Humfrey Wanley’s copy of the Anglo-Saxon Rune Poem in his Linguarum veterum septentrionalium thesaurus. · 1731: Fire breaks out at Ashburnham House, home of the Cotton Library. The only historical copy of the Anglo-Saxon Rune Poem is destroyed. · 1835CE: Jacob Grimm publishes Deutsche Mythologie (Teutonic Mythology). · 1885CE: Icelandic periodical “Fjallkonan” prints the first recorded usage of the term “Asetro”. · 1877CE: Guido Karl Anton “Von” List begins writing articles for newspapers and magazines espousing Wotanism and Armanism. · 1900CE: Ernst Wachler publishes a pamphlet calling for the revival of a racialised ancient German religion. · 1904-05CE: Haakon Shetelig and Gabriel Gustafson excavate the Oseberg ship burial mound in Norway. · 1906CE: Guido Karl Anton “Von” List releases “Das Geheimnis der Runen” (The Secret of the Runes) in periodical format, about his created fuþark, the Armanen Runes. · 1908CE: Karl Maria Wiligut writes “Neun Gebote Gots” where he begins to outline Irminenschaft (Irminism). · 1918CE: Adam Alfred Rudolf ” Rudolf Freiherr von Sebottendorff” Glauer and Walter Nauhaus form The Thule Society, an occultist and völkisch group based in München. · 1920CE: John Hargrave forms the Kindred of the Kibbo Kift. · 1930CE: Alexander Rud Mills publishes “The Odinist Religion”. · 1939CE: Mound 1 of the Sutton Hoo burial complex is excavated. · 1969CE: Elsie Christensen establishes the Odinist Study Group in Florida, USA. · c1971CE: The Odinist Study Group is renamed The Odinist Fellowship. · 1972CE: Sveinbjörn Beinteinsson founds Ásatrúarfélagið in Reykjavík, Iceland. · 1972CE: Stephen McNallen founds the Viking Brotherhood in California, USA. · 1973CE: Raymond Buckland founds Seax-Wica, an Anglo-Saxon inspired denomination of Wicca. · 1973CE: John “Hoskuld” Gibbs-Bailey and John “Stubba” Yeowell form the Committee for the Restoration of the Odinic Rite in England. · 1974CE: Raymond Buckland publishes his book, “The Tree”, a definitive guide of Seax-Wica. · 1975CE: Arne Sjöberg founds the Breidablikk Gildet in Sweden. · 1976CE: Garman Lord founds an Anglo-Saxon form of Heathenry later (1985) known as Þéodisc Geléafa, inspired by Seax-Wica, but with an ethos of historical accuracy called “reconstuctionism”. · 1976CE: Stephen McNallen founds the Asatru Free Assembly in California, USA. · 1980CE: The Committee for the Restoration of the Odinic Rite changes its name to “The Odinic Rite”. · c.1985CE: Blindern Åsatrulag is formed as a student group at Oslo University, Norway. · 1986CE: The Asatru Free Assembly disbands, amid claims of political disagreements. · 1987CE: Michael L. “Valgard” Murray founds the Ásatrú Alliance in Arizona, USA. · 1987CE: Stephen “Edred Thorsson” Flowers and James Chisholm found Ring of Troth (a.k.a. “The Troth”) in Texas, USA. · 1987CE: Telge Fylking is founded in Sweden. · 1988CE: The Odinic Rite gains charitable status in England, becoming the first new religious movement to do so. · 1988CE: Ralph “Ingvar” Harrison registers The Odinist Fellowship in England. It is not connected to the American Odinist Fellowship. Harrison transfers the Odinic Rite’s charitable status to his organisation. · 1992: Mark Mirabello publishes “Odin Brotherhood”. Its claims are largely rejected. · 1992CE: Fantoft stave church in Norway is destroyed by arson, anti-Christian sentiment was the motive. Kristian “Varg” Vikernes is the primary suspect, but was never convicted. 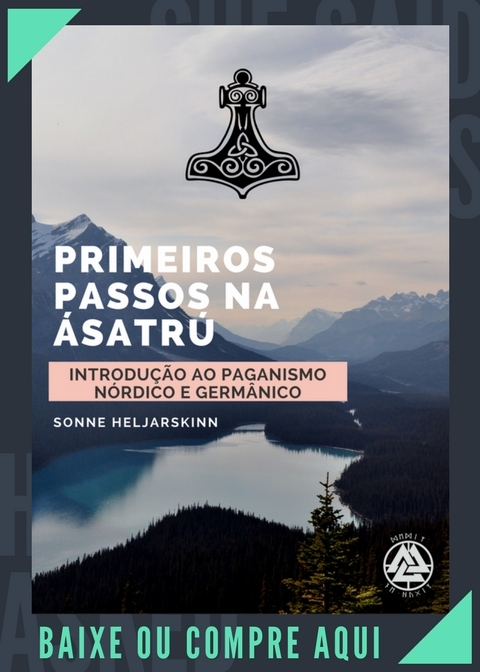 · 1994CE: Stephen McNallen founds the Asatru Folk Assembly in California, USA. · 1994CE: Sveriges Asatrosamfund is founded in Sweden. · 1994CE: Rabenclan is formed in Germany. · 1994CE: The Odinic Rite establishes The Odinic Rite Deutschland in Germany. · 1994CE: The Troth establishes the Eldaring in Germany. · 1994CE: Kristian “Varg” Vikernes (now legally “Louis Cachet”) is found guilty of burning Åsane, Storetveit, and Skjold churches, and Holmenkollen Chapel, all in Norway. His motive was given as “retaliation for building churches on Heathen ground”. · 1996CE: Åsatrufellesskapet Bifrost is formed in Norway. · 1997CE: Forn Siðr – Asa- og Vanetrosamfundet i Danmark is formed in Denmark. · 1999CE: Tore Wilhelm Tvedt founds Vigrid in Norway. · 1999CE: Foreningen Forn Sed is formed in Norway. · 2000CE: The Eldaring declares independence from the Troth. · 2000CE: UK Heathenry is founded as a “Yahoo e-mail group”. · 2004CE: Former members of Sveriges Asatrosamfund form Nätverket för Forn Sed. · 2005CE: Nornirs Ætt is formed in Germany. · 2006CE: The Odinic Rite Deutschland severs ties with the Odinic Rite and changes its name to Verein für germanisches Heidentum (VfgH). · 2009CE: Vigrid registers as a political party in Norway. It is considered a Neo-Nazi organisation. · 2010CE: Sveriges Asatrosamfund changes its name to Samfundet Forn Sed Sverige. · 2013CE: Asatru UK is founded initially as a Facebook “group”, but begins hosting regular meet-ups across the UK. · 2014CE: The Odinist Fellowship consecrates the Newark Odinist Temple in England. 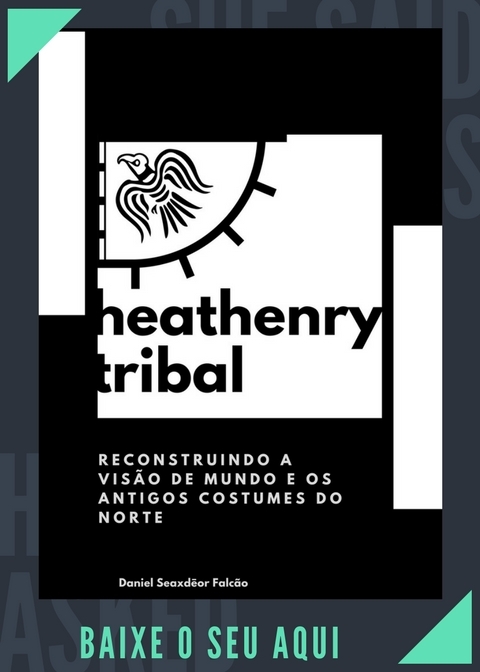 · 2015CE: The Asatru Folk Assembly purchases a building and names it Newgrange Hall Asatru Hof in California, USA. · 2016CE: Jim Lynvild consecrates Valheim Hof in Denmark. · 2016CE: Asatru UK hosts “The Asgardian”, a Heathen festival in the UK. · 2016CE: Stephen McNallen retires from leadership of the Asatru Folk Assembly, leaving the handling of the organisation to the new board of directors, Matt Flavel, Allen Turnage, and Patricia Hall. Anterior Previous post: Pra que religião?